One of the most common surprises we hear from new customers at Capital Spirits is that they’ve never realized that not all types of Baijiu taste the same; and especially that they don’t all taste like $.50 bottles of ErGuoTou 二锅头 commonly found at any corner store in Beijing or Shanghai. As with Tequila, Gin, or Whiskey it wouldn’t be fair to say all of the different brands and types taste the same. Baijiu also has many different regional differences and experts have classified the tastes into four distinct baijiu categories: Strong, Light, Sauce and Rice Baijiu (some also include unusual and medicinal as additional categories). 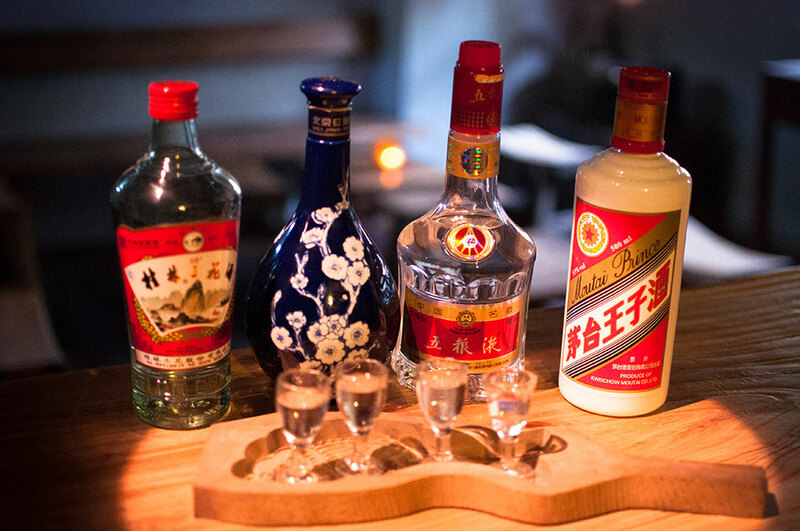 Our intro Baijiu flight at the bar includes samples from all four of the distinct categories to get you started and familiar with the baijiu varieties. Today, I’m going to kick off this series of blog posts with an introduction to the Strong Aroma Baijiu (浓香). Strong Aroma Baijiu is probably the most popular and widely distilled category of baijiu and is particularly common in China’s southwest Sichuan province, eastern Anhui, Jiangsu and Shandong. 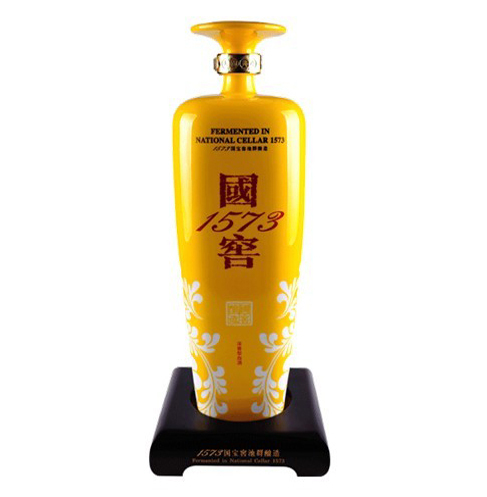 Famous Strong Aroma Baijiu brands include WuLiangYe and Luzhou Laojiao. Strong aroma Baijiu ingredients are mostly grain based (sorghum). The strong aroma baijiu taste is characterized as a floral, liquorice flavor with a strong pungent aftertaste. The strong aroma baijiu distilleries specialize in continuous distillation which allow the microoganisms to develop their unique tastes over the many decades or sometimes a few centuries (LuZhou LaoJiao’ 1573 is named after the last time the fermentation tanks were last cleaned)! Using the last batch of mash for the next mash ensure continuity in taste. Different layers of the distillate are then aged in batches for at least six months before bottling. Premium strong aroma baijiu can be aged from 1-3 years. Among the four types of baijiu, I personally enjoy the Strong Aroma Baijiu the most. Baijiu beginners will normally favor the Rice flavored baijiu first due to its clean flavor and then slowly develop a taste for the Strong or Sauce aroma Baijiu. Light, is not for the light hearted with its typical high alcohol and strong flavor (don’t let the name category fool you). But that’s a conversation for the next post. Shout out for this cool bar, not a fan of baijiu, like the baijiu sour there though. Also just watched a video "36 Hours in Beijing" from The New York Times, saw the intro from CS et the guys in it. Thanks for the shout out! Let us know when you plan to visit!